KVM has great deals on moving dollies everyday! Don’t shy away from heavy objects, our moving dollies are a mover’s best friend and can help you transport large items safely and easily. Whether you need to move large objects on a regular basis or you just need a helping hand, a moving dolly can be the perfect solution. 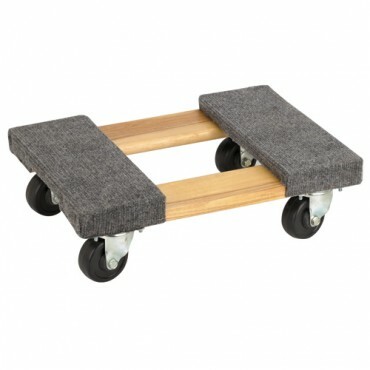 Choose from well-made, heavy duty three-wheel, wood or steel moving dollies. For jobs big and small, pick up the moving dolly you need at an amazingly low discounted price when you shop with KVM.